Amazon was nominated as the most popular online store in the United States in 2016. During the past two years, the situation hasn’t changed. It’s still a leading e-store. There’s no surprise that cybercriminals are using it too. However, they have other purposes of buying or selling goods. They are trying to seduce customers with fake Amazon gift cards, vouchers, special offers, and awards. Unfortunately, they are good at creating such hoaxes, especially the ones that are delivered to your inbox. Pop-ups or survey suggestions typically appears on the browser’s screen when you surf the site you are not supposed to visit. We are talking not only about pornographic or other adult entertainment websites, but the casino, gambling, gaming sites or websites that spread illegal programs, movies or similar content too. Many Internet users already learned how to identify fake pop-ups, lotteries and do not hurry up to fill silly surveys. However, the biggest problems are with phishing emails. Various versions of Amazon Gift Card scam spread via emails that express company’s gratitude for using their services, giving a free voucher or another gift. Cyber criminals are aware of human psychology and our desire to get valuable stuff for free. Therefore, discount vouchers that help saving money and special presents are great tactics to grab users’ attention. Security specialists noticed various versions of Amazon email scams that use different strategies to trick people. These emails might express company’s gratitude for using Amazon services, and tell “thank you” by giving $50 discount or $500 reward, which is obviously fake. Other letters target user’s desire to win something in the lottery, even though they haven’t entered any competition. However, Amazon users might not think about that at all. Maybe, it’s company’s activity that is not advertised loudly? It’s not. Scam emails typically include “Discover My Gift Now,” “Claim your discount” or “I Accept” buttons that should redirect to a site that reveals your present. However, you end up on a site that is created for getting your private information, such as email address, phone number, full name or even credit card information. Finding order confirmation email might be shocking if you haven’t purchased anything from Amazon. Even if you ordered something, the content of the letter might show different goods than are already shipped to you. However, clicking any links or buttons provided on such email won’t help to solve the problem. Scammers leave a link that is supposed to redirect to refund page if users do not recognize the transaction. However, clicking it leads to one of the thousands of fraudulent sites that mimic original Amazon site. Hence, if you log in there, you will give criminals access to your Amazon account where your personal information is saved. Who is the sender? Check the email address. If it does not end with “@amazon.com”, “@amazon.lu” or “@amazon.co.uk,” the sender is a criminal. However, in some cases, crooks can spoof the email address, so you should check other details. Check the website’s domain. Scam emails typically include links to various websites. They might look the same as Amazon; however, you should check what is written in the URL bar. If it does not end with “.amazon.com” or “.amazon.co.uk,” you are on a phishing site. If the email (or website you are redirected to) to enter your insurance number, bank or credit card information, passwords or other personal information, it’s a clear sign that it is fake. Amazon never asks for such information. If the offer seems too generous, it probably is. We can ensure that company does not give several hundreds of dollars worth Amazon Gift Card randomly. If you still cannot identify if the email is real or not, you should look up for the information about the sender or issue online. Forums are full of users report how they were tricked by scammers. Additionally, you will be able to check sender’s emails or inform other users to watch out for new hoaxes. ^ Statistics and Facts about Amazon. Statista. Statistics, consumer survey results and industry studies. ^ Jake Doevan. Amazon Gift Card scam. How to remove? (Uninstall guide). 2-spyware. Cyber security and spyware news. ^ Niamh Ollerton. Amazon voucher scam, fake order confirmation emails and more: top Amazon cons. LoveMoney. The website about money. ^ Kellly Anne Smith. This Scam Is Trying to Steal Info From Amazon Prime Members. The Penny Hoarder. Personal finance website. 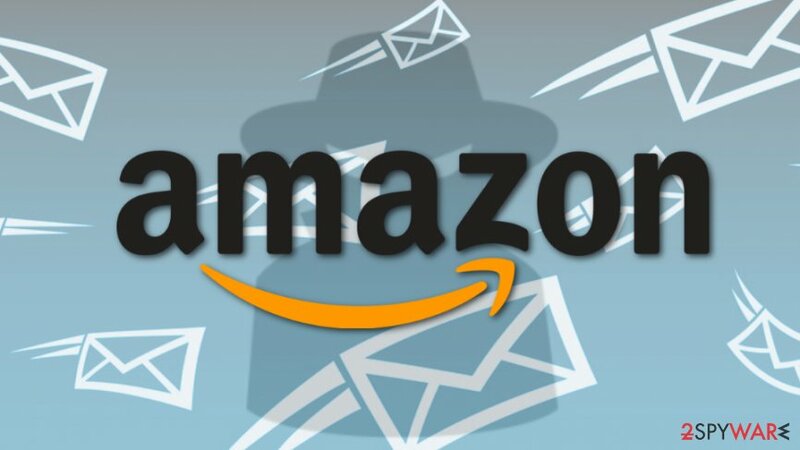 ^ About Identifying Whether an E-mail or Webpage is from Amazon. Amazon. 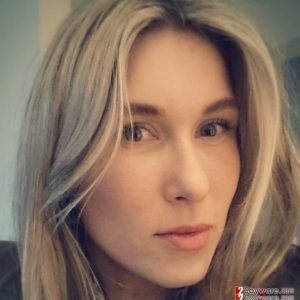 The official support page. This entry was posted on 2018-05-27 at 05:04 and is filed under News, Spam and phishing.